You missed this coupon but I’ve got more Coupons for you to save with. A great coupon to Save $1.00 on one Dove VisibleCare Body Wash. Print two coupons, just visit my direct coupon link again to print your second unique coupon. This new Dove product will likely be on sale at stores you shop at (maybe there will even be a drugstore deal). At my Kroger it’s on sale for $5.99 for an 18 oz. bottle. If you need to request one coupon by mail (because you don’t have a printer or can’t print coupons) then go to the Dove Coupon Offers and register for this coupon. After you access the printable coupon, follow my instructions below to request it by mail instead of printing it. I did not know you could get them by mail! 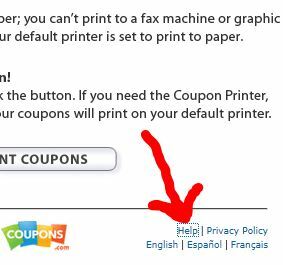 You’re welcome – I love to point out when you can request a coupon by mail since not everyone had a printer, or not everyone is able to print the coupon. Thank You for posting this! I always learn something at your blog!